Concentrate, calm down or fall asleep: white noise can help. White noise has become one of the world’s worst kept secrets at helping people relax and fall asleep. Whether you prefer the sound of rain on a window, the buzz of an oscillating fan, or the haunting hum of the universe itself, these are the best white noise apps on the most popular platforms. A wide variety of sounds to choose from. The ability to mix and match sounds together. Quick timer so it turns off after you fall asleep. Some sounds have sudden volume changes. The White Noise Generator from Relaxio is a fully featured white noise application offering a wide range of available sounds, including brown noise, fan, rain on window, forest, rustling leaves, crackling fire, ocean waves, and more. It features a colorful, intuitive interface and the ability to mix your favorite sounds together. 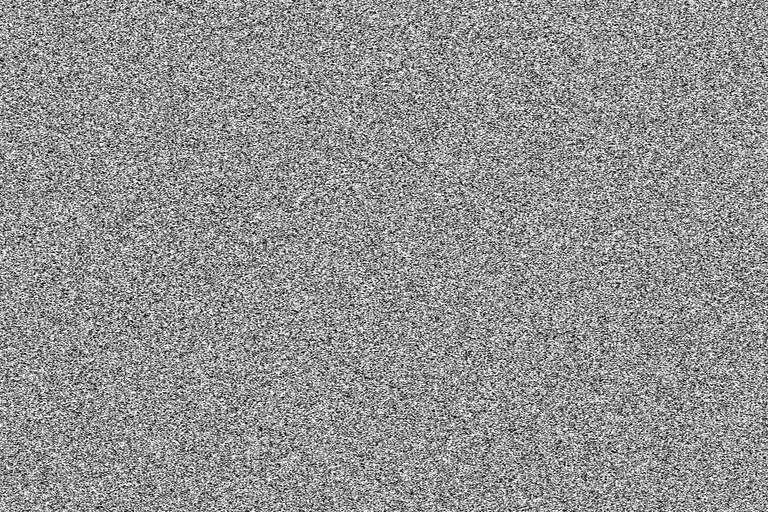 You can easily mix various white noise sounds. Alarms can fade in over noise so you aren’t jarred awake. Support for Chromecast to TV play. There are some reports of it draining batteries fast. Subliminal sounds may irritate white noise purists. The wide variety of white noise sounds available in the White Noise Lite app provides great background noise for a variety of activities, including sleeping. They loop well, with no obvious cuts between them, and you can mix the sounds together yourself with customizable intensity for your own personal soundscape. The smart alarm system helps wake you up feeling refreshed, without jarringly jumping from relaxing white noise to a rousing alarm. This “Lite” version is ad supported, but there’s a paid, premium version which removes the adverts and offers additional alarms and background audio options. Good selection of white noise types. Timer system for fading audio out. Sound descriptions aren’t immediately obvious. A few too many adverts. White Noise: Sleep Sounds HD is a great sleep aid app from Dream_Studio that comes with a wide selection of different types of white noise. There’s options for pink and brown noise, as well as a timer, so you don’t have to leave it playing all night; save battery and ensure you can awake alert, if needed. It also has some sounds which are rarely found in other white noise apps, like the sound of cicadas, and snowstorms. High quality images accompany each sound. Create a favorites list and playlists of sounds. Can be played in the background. Requires Android 5.1 or newer. Featured in a number of international publications and hailed by many as the best “Nap app,” White Noise Ambience Lite contains a mixture of 40 different white noise sounds, each accompanied by a high-resolution image to help you relax. It can also run in the background if you prefer, giving you the freedom to use your phone as before, while listening to the soothing sounds of different types of white noise. There's also a premium version of the app, which removes the adverts, doubles the number of sounds and images, and introduces new clock styles. Sounds are all recorded in nature. The ability to mix any combination of white noise you like. Includes relaxing sounds beyond simple white noise. Lots of sounds that won’t work like white noise. Only compatible with iOS 9 or later. If you feel like other white noise apps don’t have enough breadth of sound options, White Noise Sleep Pillow Sound for iOS goes above and beyond. Combine the noise of ice in a glass with the sound of city nightlife and a luxury car ride, or go for simple fan sounds. It’s all up to you. With so many sounds to choose from and the ability to mix them together in up to 300,000 combinations, you’ll never grow bored of the sounds available within this app. Not all of them are strictly white noise, but even those complement the ones that are. It keeps it simple with limited sound options. Relaxing images to enhance the white noise. Lots of adverts in free version. Bed Time Fan White Noise Sound isn’t the most varied, the most in-depth, or the most versatile, but what it does do it does very well. It combines some varied fan noises with relaxing nature scenes to help enhance your calm state before sleep, and promises to get most listeners to fall asleep within 20 minutes. You can also have some additional sounds in the background, like crickets, rain, or a crackling campfire. If you like to mix up your white noise sound on a regular basis, this app probably isn’t for you, but if you want to find a buzzing fan sound and stick to it, these are some of the best. A communal white noise experience. Suggestions from other users and the ability to upload your own. Explore sound categories outside of white noise, like ASMR and animals. Community recommendations can be hit and miss. White noise is a sound and sensation enjoyed by millions of people all over the world, so why not share that experience? Whether you like ASMR, pure white noise, relaxing daytime or evening sounds, there will be someone in the White Noise Market who shares your tastes and has already curated a list of great options for you. Not all of them are great, and the experience can feel a little pushy when it comes to buying new sounds, but there's more on offer in White Noise Market than almost any other app on this list. A focus on nature over pure white noise. Options for brown and pink noise. Mix and blend up to six sounds together. No option to add additional sounds. Nature can be as relaxing as any artificial white noise sound and White Noise HQ focuses in on that like no other app. With over 75 high-definition sound recordings of waterfalls, ocean surf, evening crickets, blowing wind, and others, it has a breadth of relaxing noises from the natural world. You can’t install any additional sounds of your own, but you're unlikely to run out any time soon due to such a wide enough selection, and you can always mix up to six of your favorites to create something new and interesting. A wide spread of natural and synthetic sounds. The ability to loop sounds for as long as you like. Alexa can learn your preferences for certain sounds. Rather pushy in asking for reviews. A simple and effective white noise app, Ambient Sounds: White Noise gives you a vast array of sounds to choose from, including rain and running water, hair dryers, whale song, windy meadow, and heartbeat. It’s simple to set up and control with voice commands, but we wouldn't recommend this for babies or animals, as it can intrusively ask for a review in the middle of nowhere, which can be quite disruptive. The sounds will automatically play for one hour. If you want them to play for longer without stopping, simply say “Alexa, ask White Noise to loop.” To get it to stop, use the command, “Alexa, stop.” The skill will remember your preferences so you don’t need to do this every time. A great selection of white noise and relaxing sounds. Pink and brown noise included. Sound looping requires fading in and out which can be disruptive. Pushy review requests at start of sounds. Another great white noise app for Amazon Alexa hardware like the Echo and Echo dot, Sleep Sounds: White Noise has a selection of excellent relaxing sounds and simple voice commands to request them. It's a little pushy when asking for reviews and the sound looping isn’t perfect, but it’s a great free app that does most of what you want in a white noise machine. Some interesting sounds not always found in other apps. You can mix sounds together with voice commands only. Quick and seamless fading between sounds. Some users find they have to frequently re-register the skill. Upgrade adverts can be annoying. The sounds offered in Sleep Sounds are a little more specific than some of the other apps and skills on this list. You have a selection of three different wind sounds, various colors of white noise, cats, crickets, frogs, birds, and babbling brooks, among tons of others. It also has the ability to mix sounds together, which not many Alexa skills do, and the fading between different sounds is much more seamless than most. Built right into the platform. No need for additional downloads. A good selection of ambient and white noise. Not as broad a selection as bespoke apps. Maximum of one hour play time. Google Home has its own built-in white noise machine, making it arguably the easiest way to access some of the relaxing sounds of white noise and its various incarnations. The selection isn’t exhaustive and the sounds only play for one hour, but for a basic white noise listening experience, Google Home has it from the get go. Exhaustive selection of white noise and relaxing sounds. Relaxing videos often accompany the better options. Accessible on any device in any browser. You have to play the video too, which requires additional bandwidth. Audio quality isn’t as good as some of the other apps on this list. If you don’t want to install an app or just want to be sure you’ll have access to white noise wherever you are on any device you want, YouTube is a great fallback option. The audio quality isn’t up to par with some of the other apps on this list and you must have a video playing, but the selection of sounds is unparalleled. Unless you’re a YouTube Premium subscriber you’ll also need to put up with adverts and forgo background play, but for its sheer breadth and depth of white noise options, YouTube is hard to beat.